If you have additions to the History timeline please forward them to [email protected] citing your source. It was during the opening half of the 1800s that some 81% of the United States had given their state medical societies the authority to examine and license practitioners of medicine. By 1803 Medical schools licensed their graduates to practice medicine thus creating an alternative to the medical society regulation granted by the state. Those who entered the medical schools were not required to have a high school education, and some of the medical schools provided no more than a few months of training before licensing their graduates. Most provided no clinical training. It was within this era that Anson Jones, M.D. was licensed to practice medicine in 1820, receiving his M.D. degree in 1827. In 1837 he renounced the practice of medicine to become a merchant in New Orleans. After living through cholera and yellow fever epidemics and a series of failures that left him despondent and broke. In 1833 an acquaintance of Jones suggested to him to move to Texas. This he did and during the first Congress of the Republic of Texas, convened at Columbia on Oct 3, 1836, Jones became increasingly interested in public questions and critical of congressional policies. In 1911 it was reported by the San Antonio Light that the first chiropractic college in Texas was chartered by the state in April 1910. In 1911 the Texas State Journal of Medicine reports that it was opened with about forty enrolling. "Dr. J. N. Stone, a San Antonio chiropractor and one of the oldest workers in this field, is president of the new institution. Dr. J. H. Triece is dean of the college. … Besides the officers of the institution who will assist in teaching, a faculty of four has been appointed. This will be increased according to the enrollment of students. The other officers of the college are Dr. A. S. Hawley first vice president; Dr. G. E. Harley second vice president, and George Jones, secretary.” The Medical Journal continues "The course of study embraces 36 subjects and two and one half years of study without a vacation period will be required of the students before the degree of doctor of chiropractic will be conferred. This is equivalent to four years with the usual vacation. In the event the rooms in the Central Office Building prove too small permission has been obtained by Dr Stone to use the lecture halls of a business college here." Dr. J. N. Stone continues to advertise his practice in the Conroy Building in 1911. 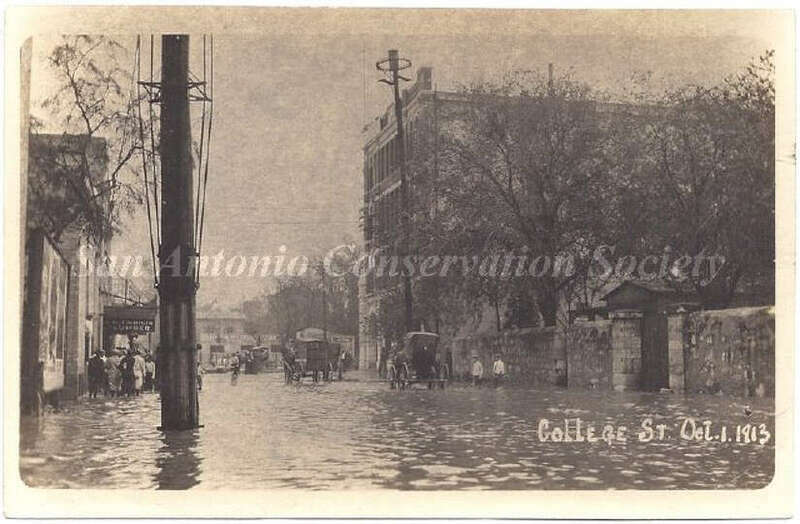 On June 20, 1909, Dr. J. N. Stone runs advertisements for his practice in San Antonio. The first graduate of Chiropractic College of San Antonio's twelve-month curriculum, Dr. A.R. Littrell, joined Stone in practice on the third floor of the Conroy Building in San Antonio. The year 1909 found Joe E. Busby, D.C., in Lockney, Texas near Plainview. In Lockney he became acquainted with a young Palmer Graduate, Dr. Vanscoohoven. He also became acquainted with the President of Lockney Christian College, Dr. J. D. Burleson, who was personally acquainted with and greatly admired Dr. D. D. Palmer. Dr. Burleson had became so engrossed in the study of chiropractic that he enrolled in the Wichita College of Chiropractic, Wichita, Kansas. This college later became known as the Darling Chiropractic College. It was Dr. Burleson, who later induced Dr. Busby to start to attend the Chiropractic College at Wichita, Kansas. Dr. Burleson was a graduate of the Wichita Chiropractic College and held a Masters Degree from the University of Texas. Dr. Busby went back to Plainview, Texas, in 1909 and enrolled in the Boone School of Massage and Physiotherapy, a chartered Texas Institution whose graduates were legalized practitioners in the state. The President of the school was Dr. S. L. Boone, a graduate of Physical Medicine with study in Stockholm, Sweden. Dr. A. W. Canfil, a graduate of National College of Chiropractic in Chicago, was secretary and Dr. R. B. Longmier, M.D. and Dr. J. D. Burleson, D.C. were members of the faculty. In August 1908 Willard Carver purchases Denny’s interest in the Carver-Denny Kiropractic College and it becomes the Carver Chiropractic College, “the first substantial competitor to B. J. Palmer and the Palmer Chiropractic School.” These two competitors would be the source for most of the doctors drifting southward into Texas from the early 1900s to the 1920s. Dr. Clyde Keeler of Dallas continues his studies at Carver Chiropractic College in March, 1908. He will graduate July, 1910 with his D.C. and Ph.C. Degrees. Following the arrest and conviction of D.D. Palmer, "chiropractic philosophy" still awaited its first acquittal of a DC charged with the unlicensed practice of medicine. The Universal Chiropractic Association’s first major legal victory, however, came in 1907 when Shegataro Morikubo, DC, was successfully defended against charges of unlicensed practice in LaCrosse, Wisconsin. By 1907 there are 14 chiropractic colleges documented, 7 of them are in Oklahoma City. 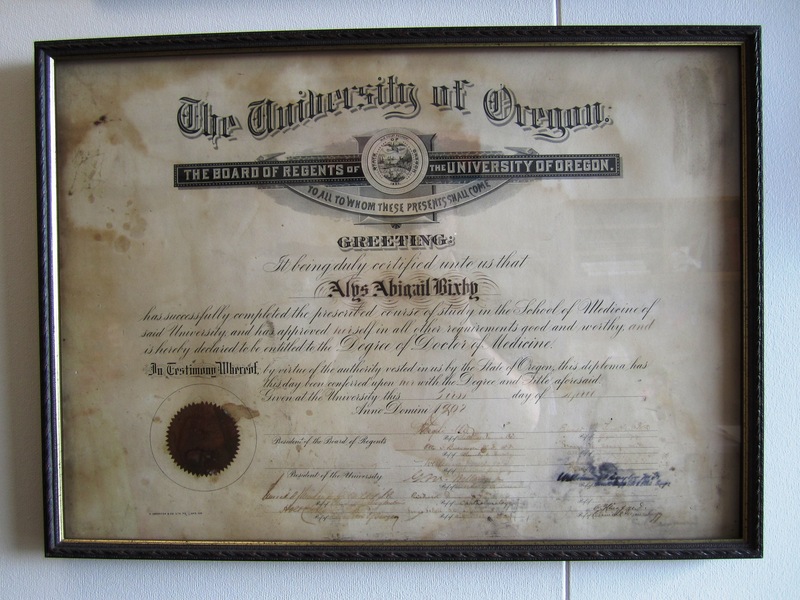 In February 1907, after founding the Carver-Denny Kiropractic College at Oklahoma City in 1906, Willard Carver journeyed to Medford, Oregon in February, 1907, and met with D. D., his old friend, and D. D. Palmer. Future Keeler Plaque recipient John A. Kent, D.C., hearing that Carver was going to establish his school in 1907, went to Oklahoma to await its opening and became its first student. In 1907 he graduated in the first class of five in May 1907. After graduation he remained at the Carver-Denny Kiropractic College working in the clinic for 6 months. Later, in October 1907, Dr. Kent, with Drs. Lumm and Gregory, open the Oklahoma Chiropractic University in Oklahoma City. D. D. Palmer returned and served on the faculty teaching chiropractic philosophy. Later this school becomes the Palmer-Gregory Chiropractic College. In October of 1909 Dr. Kent will found the Kent College of Chiropractic in Chicago which operated until about 1918. Prior to 1907, a Dr. David B. Teems arrives in Sherman, Texas and establishes a chiropractic practice. Future Keeler Plaque recipient Joe E. Busby, D.C., states that he first learned about chiropractic in 1907 by contact with one of Texas earliest chiropractors, Dr. Teems of Sherman, Texas. Dr. Busby first became interested in chiropractic because of this contact in 1907 and he went to study at the Boone School of Massage and Physiotherapy in Plainview, Texas. The president of the School was Dr. S. L. Boone, a graduate of a physical medicine school; faculty members were A. W. Canfil, D.C.; R. B. Longmeier, M.D. ; and J. D. Burleson, D.C.. This was one of the earliest schools in the healing arts in Texas. 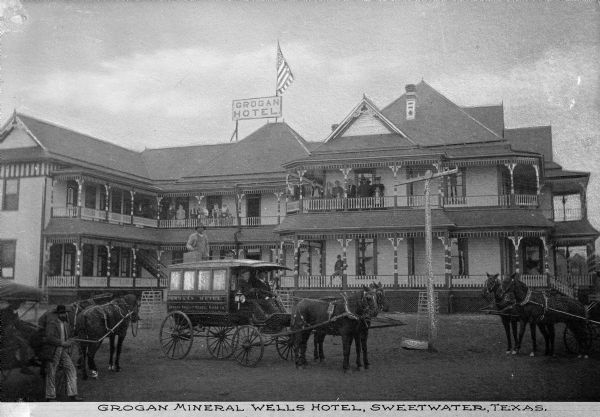 Dr. Canfil was a prominent citizen of both Plainview and Sweetwater, Texas leaving Plainview in 1912 to manage the Grogan Mineral Wells Sanatarium and Hotel in Sweetwater. In 1906 Dr. B. J. Palmer was twenty-four years of age, Willard Carver was forty, D. D. was sixty-one. D. D. Palmer, a legal client of Carver's for well over a decade, ceases his legal relationship with Carver. In 1906 D. D. Palmer teaches 21 chiropractic students. By June, 1906, there were seven fairly well known chiropractic schools, each conducted by D. D. Palmer graduates. In early 1906 both D. D. and B. J. Palmer were indicted for practicing medicine without a license in Scott County, Iowa. Both had been released on bond. On Monday, March 26, 1906, jury selection began for D.D. Palmer's trial on charges he had violated Iowa's medical practice act. The founder mounted a meager defense, calling no witnesses and testifying on his own behalf; the father of chiropractic insisted that his methods and medicine were distinctly different and that he had not practiced medicine when practicing chiropractic. The jury promptly convicted him, and the judge offered a choice of penalties: a fine of $350 or 105 days in Scott County Jail. As a matter of principle, D.D. chose incarceration as a form of protest and tried to make the best of it. However, after 23 days behind bars, he capitulated, paid his fine and was released. On April 18, 1906 the 1906 San Francisco earthquake (estimated magnitude 7.8) on the San Andreas Fault destroys much of San Francisco, killing at least 3,000, with 225,000–300,000 left homeless, and $350 million in damages. In 1905 Willard Carver incorporates, and urges D.D. to consider “suggestion” – a “holistic” philosophy of healthcare, which assumes that an individual’s mental state is intimately linked to both the pathogenesis of disease and ultimately to its treatment. In 1904 D. D. Palmer returns from the west coast and joins B. J. managing the business with B. J.’s assistance. During this year "Innate intelligence" would make it's public debut. Harvey H. Kennedy, D.C., future founder of the Texas Chiropractic Association Auxiliary and Keeler Plaque recipient, was born February 14, 1904, Shreveport, Louisiana. Harvey Wright Watkins D.C., future Keeler Plaque recipient, was born May 17, 1904 in Austin, Texas. Dr. Watkins holds the distinction of being both the youngest chiropractic doctor in Texas and the oldest chiropractic doctor in Texas. Graduating chiropractic school at age 16, Dr. Watkins lived until 3 days shy of his 102nd birthday. In September 1903 Alma C. Arnold, DC, graduates in the first class at the American School of Chiropractic & Nature Cure (ASC&NC) in Cedar Rapids, Iowa. Dr. Alma C. Arnold establishes first chiropractic practice in New York City. Dr. Arnold soon had Miss Clara Barton as a patient. Miss Barton had been so seriously injured in an accident that her physicians said that if she did live she would never walk again because of her spinal injuries. But Dr. Arnold was consulted and subsequently restored her to complete health; and Clara Barton went on her way, ultimately becoming the founder of the American Red Cross.